This post was created in collaboration with Chickapea Pasta. All opinions are my own, and I think Chickapea rocks! If you’re vegan or vegetarian, you’ve probably been asked more than once where you get your protein from. My mom, for example, asks me if I’m getting enough protein every time I see her (cue eye roll)! But lately, I’ve been answering her – pasta. I’m getting it from pasta! 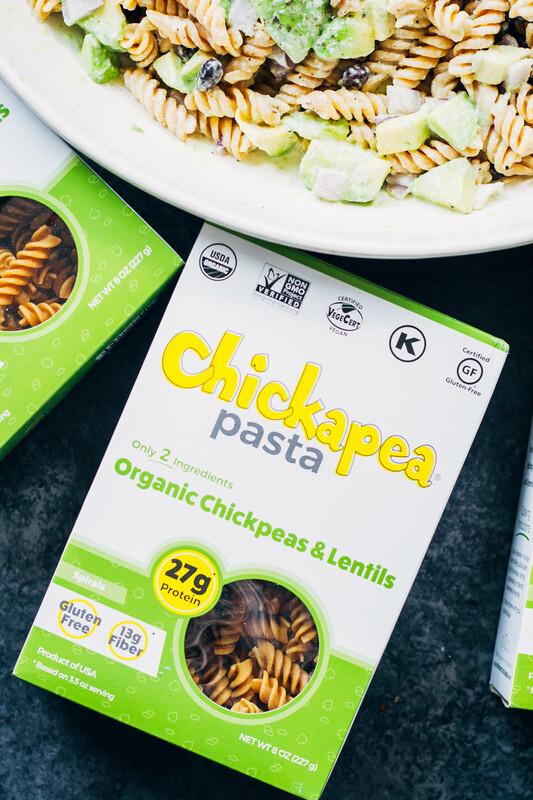 She looked at me very dubiously, until I said, “It’s this pasta from Chickapea – it’s made from lentils and chickpeas!” Her eyes widened even more when I told her that one serving – just 3.5 ounces of prepared pasta – has 27 grams of protein. 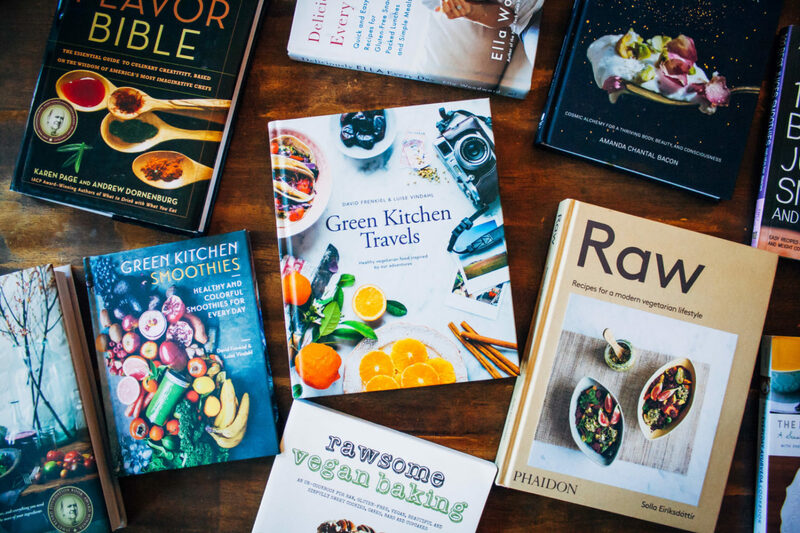 Plant-based foodies for the win!! 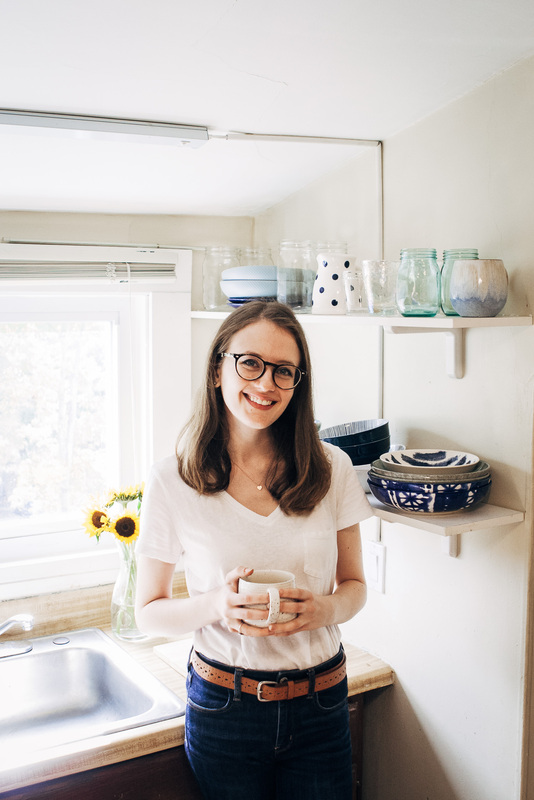 If you’ve been a longtime reader of this blog, you’ll know that I’m a chickpea enthusiast. Nearly all of my bowl and salad recipes contain chickpeas, and I even have wraps, soups, and hummus. So it was high time that I created a chickpea pasta recipe! Honestly, I really can’t say enough about this pasta. 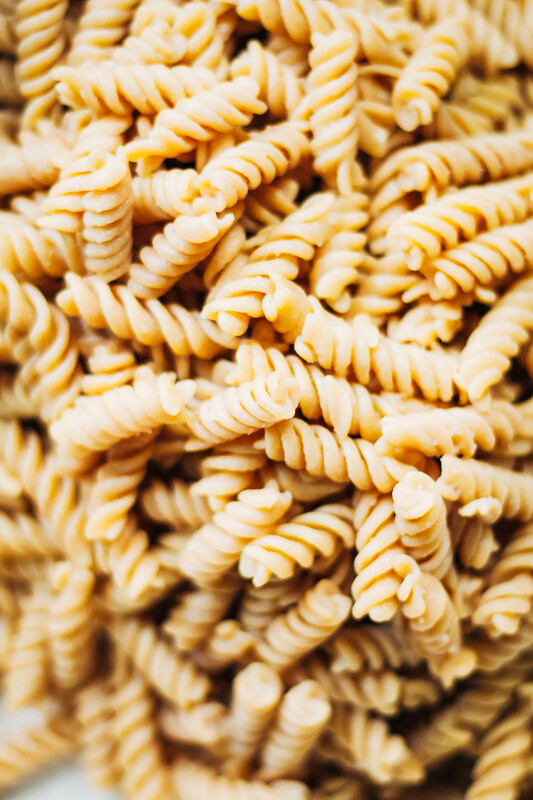 I know most people wouldn’t consider pasta a superfood, but this stuff is full of protein, fiber, iron, Vitamin B6, folate, and even Vitamin B12. What’s more, it’s vegan, gluten-free, and organic! The pasta comes in spirals, penne, and shells, but I personally think the spirals are best. The spiral-shaped pasta is perfect for this vegan ranch pasta salad – the texture really locks in the flavor of the dressing! And I’m proud to report that this recipe is entirely made with whole foods – no dairy, no vegan mayo! But I wanted to mention a few notes about the recipe. Since this pasta salad is vegan, it’ll stand up to a warm picnic or potluck. However, if it’s going to be out for a bit, I would recommend adding the avocado at the last minute so that it doesn’t brown (although the lime juice will help with this). Or, you could omit it altogether and add another vegetable – 1 ½ cups of chopped cherry tomatoes would be delicious as well, or even some curly kale! I hope you all love this recipe as much as I do! Cheers! This vegan ranch pasta salad is the perfect dish to bring to a barbecue or potluck! What's more, it's full of healthy, plant-based protein. Nutritious and delicious! Bring a large pot of salted water to boil. Add in the Chickapea spirals pasta, and cook according to package directions. When done, drain and rinse in cold water. While pasta is cooking, make your ranch dressing. In a blender, combine all ingredients and blend on high until smooth and creamy. Be sure to taste and add any additional seasonings you like. I added in a little more salt and black pepper. Cut an avocado in half and remove the pit. Scoop out the avocado with a spoon, and then chop into 1/2 - 1/4 inch-sized pieces. In a bowl, toss the avocado with the juice of 1 lime - this will prevent the avocado from browning. Finely dice 1/2 of a red onion, and set aside. Drain your can of black beans, and rinse well until they're clean. In a large bowl, add in cooked pasta, chopped avocado, diced red onion, and black beans. Drizzle everything with about 3/4 of the ranch, and mix well. Give it a quick taste, and decide if you want to use the rest of the dressing. I did, but you might like a lighter pasta salad. This pasta salad is best when served immediately, but it can be put in the fridge for a few hours. Serve at room temperature. 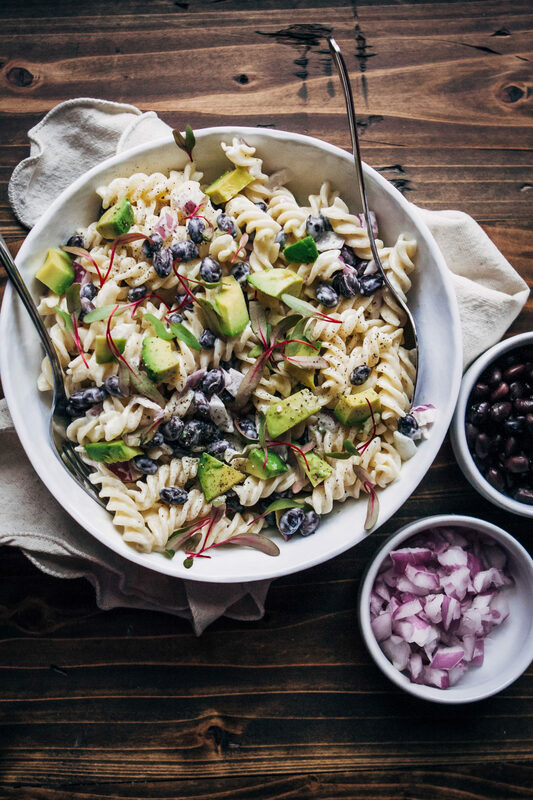 If this pasta salad isn't served immediately, wait to add the avocado until just before serving so it doesn't brown (although the lime juice will help with this). Or, feel free to sub in another vegetable like cherry tomatoes or kale. To this summer for sure! Thank you. What a beautiful wholesome pasta salad and I’m in love with that ranch! OH HECK YES! This looks phenomenal and I love that it features a creamy vegan ranch alllllll over this healthy chickpea lentil pasta – delicious and totally a must-try! im a huge fan of chickpeas as well so seeing this lunch friendly one, im excited to give it a try soon. Such a power boosting and comforting plate pf pasta love!! Love every bit of this recipe Sarah–I can NOT wait to make it!! I’m so in love with this recipe! Everything is absolutely perfect. And Chickapea Pasta is amazing. So happy to see you’ve used it in here! Such a simple salad — I adore being able to get such a big hit of protein from pasta. My inner carb monster prefers pasta and veggies to a “square” meal! I cannot think of healthier and tastier meals than this Pasta Salad! It is just perfect for the summer! I know, right?? And this would definitely be great for meal prep! This is delicious! Use a shortcut…Just Ranch made by Just Inc. Much faster and still non-GMO, GF, egg free, dairy free!